Christine Gould, MA, Cert.Ed, C.Hyp, DABCH, MABCH, MCAHyp, MNFSH, DTL. 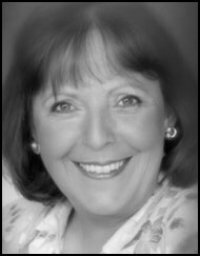 Christine Gould had many years experience as a Counsellor before training to become a hypnotherapist. Several years later she qualified as an Advanced Hypnotherapist and HypnoHealer. Courses for self hypnosis in Northamptonshire have been well supported and delegates have reported how beneficial these skills are. Before this Christine Gould had a career in education which included both lecturing and teaching. Her specialist field was working with youngsters experiencing learning difficulties, emotional and behavioural problems. Working with youngsters and teenagers in Northamptonshire is a significant component of her work. For her Master of Arts Degree a major component of her studies was a thesis on Neuro Linguistic Programming. With over thirty years experience as a therapist, Christine works in private practice and for over twenty five years has also worked within the National Health Service. For seventeen years Christine was a member of a multidisciplinary team helping patients suffering with chronic pain at the Pain Relief Clinic, Northampton General Hospital. In recent years she supports oncology patients including youngsters at the Children's Outpatients Department. In May 2013 Christine was appointed Manager of The Dunstone Bennett Complementary Centre which is a charitable organisation that supports cancer patients, their loved ones and carers affected by any type of cancer in Northamptonshire. Her interest in health and psychology in Northamptonshire has encouraged Christine to conduct a range of courses for personal empowerment. Christine travels internationally and lectures about the power of the mind and energy healing systems. Reiki is an energy renewal technique and hands-on-healing modality that Christine has taught in Canada, Ireland, Australia, New Zealand, London, Birmingham and Northampton. Christine undertook intensive study in America with John Harvey Gray to qualify as a Reiki Master Teacher. Prior to this she served a five year teaching apprenticeship with Barbara McGregor from Australia, and is privileged to be the second Reiki Master Teacher appointed by her. Christine is also a Spiritual Healer and registered member with the largest healing organisation in the world. In April 2017 Christine gained a Diploma in Therapeutic Laser. Cold Laser Therapy is also known as Low Level Light Therapy and Photo-bio-modulation. Since its introduction almost fifty years ago, it is regularly used worldwide by healthcare professionals who acknowledge its therapeutic benefits of being non-invasive, drug free, painless and a sterile modality that has no known adverse side effects. It is becoming the treatment of choice for many health issues when orthodox interventions have been ineffective and rapid healing is required. Applying cutting edge technology the healing energy and power of light assists the body's innate healing capacity. Immediate results are often experienced such as pain relief, reduced inflammation, improved mobility, restored function and accelerated healing. Christine provides an integrated approach to achieve solution focused outcomes by addressing the physical, psychological and emotional aspects of a client's presenting issues. For more information on Depression in Northamptonshire please read the other pages on this website or call her directly on 01604 624 515.